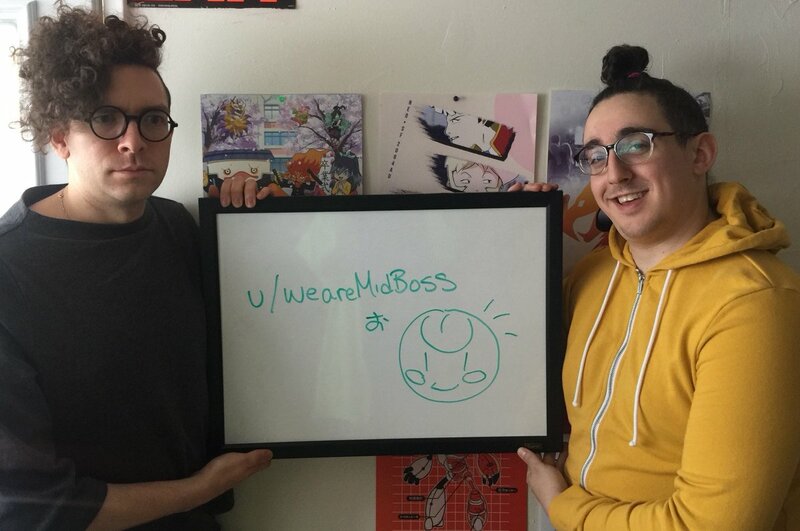 Two of MidBoss’ creative minds, Matt Conn, and JJ Signal, hosted a Reddit AMA following-up on the release of their 2064: Read Only Memories update. The much anticipated update added full voice acting to the LGBTQ inclusive, cyberpunk point-and-click adventure. 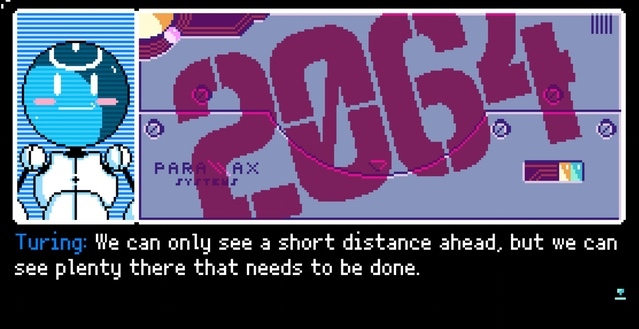 The 2064: Read Only Memories Kickstarter campaign raised $64,378 back in 2013. The game has sold around 250k copies since its launch earlier this year. Here are a few of our favorite questions and answers from yesterday’s AMA. Docabyss: You guys are 2 for 2 with my merch wishlist for this game. My last one is to own the 2064: ROM OST on Vinyl. Is this possible? Also What’s next for MidBoss as a whole now that 2064: ROM is done. MidBoss: The vinyl is coming ;). And we try really hard with our merch — we ask folks what they want and try to make cool things around that! mydearestangelica: Several analyses of Gamergate– notably Innuendo Studio’s “Why are You So Angry” series have emphasized the way the gamer community perceived itself as primarily male, implicitly white, and heterosexual. This has changed recently, partly due to the market responding to demographic diversification and partly due to improved communication between gamers (queer gamers, gamers of color, and female gamers can find each other more easily, organize, and let game designers & producers know what elements they want). Where does GaymerX fit into the post-Gamergate landscape? And what’s the relationship between the story told in Read Only Memories and the goals/focuses of GaymerX? MidBoss: Part of the goal of GaymerX, aside from just being a fun time, is to give a lot of people the opportunity to discuss and approach these things from a lot of different angles. Even for someone who might see themselves as the dominant, straight male gamer, experiencing this can be very eye opening and rewarding. We kind of find that showing people that a whole bunch of diversity can actually work and be really fun is definitely one useful way of both giving people hope and setting a good example. We find the “this is bad and this is good” approach isn’t exactly our style, but rather the “wouldn’t this be better?” approach. 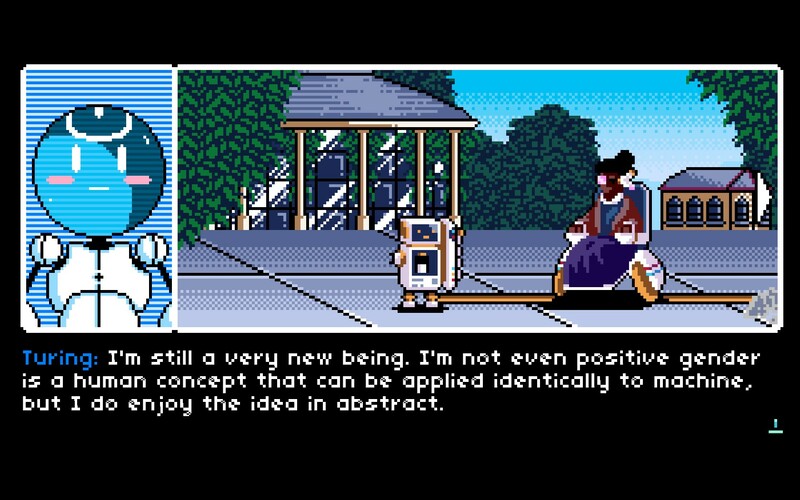 Even 2064:ROM takes this approach by just showing you a game where all the characters are very diverse and how that just makes the cast more interesting and creates more nuanced interactions than you might find in other games. That’s not to say that our approach is perfect or the best, but it’s one approach and the more ways we come at these issues the sooner we find solutions! Mattrified: Where does the name MidBoss come from and does it correlate w/ your perceived mission statement of creating LGBTQ inclusive titles? MidBoss: The name actually comes from Disgaea — there’s a part where Laharl, the main character, renames a boss “MidBoss.” We always loved Disgaea and felt it was a good example of misunderstood folks—these demons that were all kinda cute and nice, but had a sweet culture. Plus, MidBosses are generally pretty cool, and usually are more creative than many end level bosses! SnapdragonSK: Non-binary rep in games is so utterly nonexistent. It’s an utter rarity to have a canon they/them character who isn’t treated as an “invitation to make up whether they’re actually he or she,” or a situation where the only they/them character is an alien or robot or something that only doesn’t have a binary gender because the character is strange and inhuman. I know that many NB folks don’t have strong pronoun preferences or may prefer he/she but it means so much to have a character who isn’t “they/them but so inhuman and unable to comprehend that they let you decide their pronouns” or “they/them as a placeholder so someone can decide on a much more relatable he/she.” TOMCAT is so central to the plot and so good and so wonderfully, relatably human, and there’s never a “but if you prefer she that’s fine” or “I guess people assume he because that’s a default and ha ha they/them is weird and awkward huh” or any other catch that paints it as not human or strange. Bless TOMCAT I love them so much. MidBoss: Yay! That was a lot of our goal—we have NB folks on the team and we really wanted to make sure we had a main NB character with they pronouns that was rad, while still has their own human faults. LadyRarity: Thanks for doing this AMA. Love ROM, one of my favorite games of all time. What was the reason behind having the player character NOT be able to be a hybrid? MidBoss: A lot of it has to do with how we wanted to present the world to the player. They’re almost a complete blank slate. If they chose to be a hybrid, we would also have to take into consideration what hybrid traits they would have, how it would affect the gameplay, and also the story. Characters like Jess and Brian wouldn’t have “worked” if the player character had been a hybrid. You can read the full MidBoss AMA over on Reddit. 2064: Read Only Memories is available now on PS4, itch.io, Humble Store, GoG, and Steam. The Steam version is 70% off this weekend as part of the Steam Anime Sale, so now’s a great time to dive into the story.